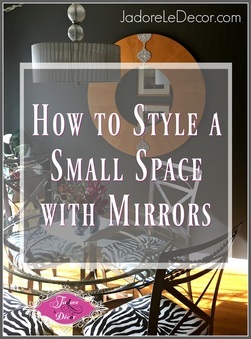 There are several advantages to using mirrors in a small space. They reflect and flood a room with light, making it appear more spacious. 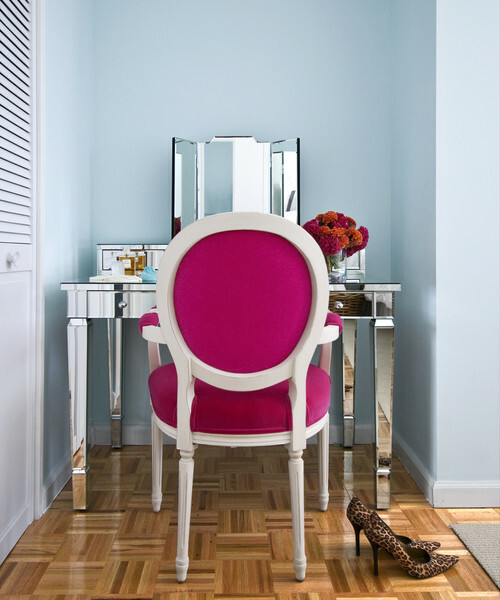 A mirror can also provide architectural interest in a bland room. Two mirrors facing one another, or one mirror opposite a window gives the illusion of depth. Just in case you want to take a closer look, all of the images below have active links attached.Please note:The beauty of mirrors is their flexibility. Keep reading to see how we can address each of these three challenges using them. The solution below would work with any design style. 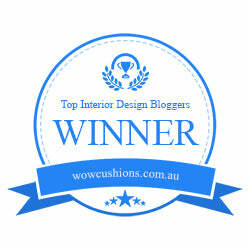 Here, it is featured in an eclectically styled room (try saying that fast three times). This decor style may not appeal to everyone, but it illustrates two (2) valuable points: 1) the placement of the mirror next to the window allows the natural light to bounce off of it, flooding the room with light, and 2) notice that there is no artwork on the walls, yet the room looks warm and cozy. To get this look, simply loop hanging wire through the hooks on the back of the mirror, then wrap it around the center poles where the bookcases meet. Secure the wire tightly. If you're working with solid bookcases, use these magnetic hooks for metal bookcases. There are also command hooks available for wooden bookcases. Be sure to use the one comparable to the weight of your mirror. Of course you could always skip this last step by placing a mirror on top of the bookcase and leaning it against the wall. Sometimes a room - or even an entire house - is so awkwardly laid out that there is very little room for wall hangings. What then? The rectangular full length mirrors below are practical solutions. A double-duty mirror like the one on the right can be used to store scarves, crafts, paint brushes and paint, even make-up, and of course jewelry. I highly recommend leaning a floor to ceiling mirror against the wall to make a space look taller. But floor to ceiling mirrors can be crazy expensive. So use one of the options below as a replacement until you can afford the real deal. A more affordable option would be to incorporate mirrored furniture into your design scheme. The reflective surfaces spread light through out a room. But the trick is to not overdo it. Too many mirrored furniture pieces can send a room spiraling down to Tacky-ville. I found a nice, economically friendly, mirrored desk here. Finally, the photo below is one example of how I've incorporated mirrors in my own home. For ideas on choosing the right dining room table, check out my previous post here.